As you enter the summer months, please take note of the Environmental Working Group’s list of sunscreens. Our body must work to get rid of chemicals and toxins everyday. Don’t increase your toxic load with the wrong sunscreen. Keep your body detoxifying with good nutrition, quality supplements (like Liver Protect, XenoProtect, 6-Day Detox Kit, Opticleanse GHI , exercise and stress management. Use a sunscreen that will protect you on the outside and not harm you on the inside! Our health seminars are developed by health professionals to provide practical, science-based information on health topics that matter to you and your family. They are designed to help raise awareness, educate and provide participants the tools they need to improve their health and lifestyle. Seminars are held one Monday each month. They are held 6-7 pm at the Blake Library – Trustees Conference Room, 2351 SE Monterey Rd, Stuart, FL 34996. Send a message to info@healthrenewmd.com to get the schedule or contact Jacqueline Crighton for more information on 772-708-3217. Health Renew is also willing to come to your venue to present these or other health topics. The Buzz about Detoxification – What, Why and How? Detoxification is a continuous physiological process. It’s only when our detox mechanisms become overloaded that the process becomes less efficient and symptoms may occur. Toxic overload contributes to many serious health conditions. Learn WHAT is important to keep you healthy, WHY your body needs to detox and HOW to turn your body into a cleansing machine! Vitamins – What do I need and what do I need to know? Overwhelming evidence reveals that micronutrient deficiencies are associated with health issues and chronic disease, therefore affecting physical and mental health, and ultimately, quality of life. Learn the facts about vitamins, minerals and dietary supplements including what to look for and how to know if you are deficient. Most people know that if you exercise more and eat less, you lose weight, right? – WRONG. There are many obstacles to achieving a healthy weight and maintaining it for life. By exploring inflammation and detoxification, you will learn to recognize patterns and long-term effects of unhealthy behavior. Understanding the pitfalls of diet fads and medications will help you embrace lifestyle choices that help you create lifelong, optimal body composition and chronic disease prevention. Stress Management: Feeling Tired & Wired? Contrary to popular belief, stress in not just an emotional response to a challenging situation. Stress, and our reaction to it, actually involves complex hormone system, and has a direct impact on our overall health. Join us to learn more about how to improve your stress response system and balance stress hormones to improve energy, sleep and health. Immune development begins before birth and a variety of factors influence its activity (both positively and negatively). These factors include age, diet, stress, gastrointestinal health, toxic and environmental exposures. Join us to learn how you can develop a proactive plan to build immune resources and strengthen your immune system. When I started my career as an exercise physiologist, I enjoyed working in preventive medicine helping cardiac patients renew and improve their lives after heart attacks and surgeries. Many patients claimed, “They never felt better in their lives”. This was the start of my journey to look at the whole person and not just follow medical protocols with only pharmaceutical/surgical options. A functional approach to medicine led me to emphasize diet, exercise, stress management and good sleep in all my work environments even back in the 1980’s. Since working in Women’s Health with Dr. Kathy Santoriello, I’ve learned that the body is a complicated system that needs nutrients/hormones to perform correctly. I’ve also learned that our food supply is not what it used to be. Not only are our foods not providing the right amount of nutrients, our body’s are so bombarded with toxic exposures that they need even more support to absorb and get nutrients where they need to be. This led me to start Health Renew to provide an avenue for patients to get more information (due to the limited amount of time you can spend with a doctor these days) and give them access to good quality, doctor- approved supplements. Although, my main job is to manager the medical practice, my passion is to further develop Health Renew. In January 2014, I noticed a small shadow under my right breast while combing my hair. At first I thought it was just the way my pocket light over the mirror was reflecting on the breast. I work in a gynecology practice so you’d think I’d get one of our providers to take a look ASAP. Well… I’ve always had dense/lumpy breasts and had faithfully had my mammograms since I turned 40. Unfortunately, I waited till February to finally get my annual exam in my office. The lump was odd – not very suspicious with my other dense breast tissue. I waited a week to get my mammogram and ultrasound. By the time I returned to the office, Dr. Santoriello had received the results and was sitting in my office: CAT 5 – very probably malignant. I was immediately schedule to see Dr. Denise Sanderson the next day, Valentine’s Day. Dr. Santoriello personally took me and both doctors were so responsive and concerned while Dr. Sanderson immediately took a biopsy. They throughly explained that my mammogram alone (being so dense) did not show much but the ultrasound (which was ordered at the same time because I found a lump) provided much more clarity of the situation (but is often not paid for by insurance for women with dense breasts only if they find a lump). Their faces showed me that this was CANCER but my official report didn’t come back till February 18th, 2014, my little sister’s birthday. 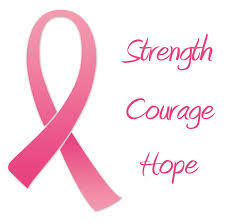 The results: STAGE II invasive lobular cancer of the right breast. I was lucky!! Within 4 weeks I had a double mastectomy with immediate reconstruction. I then started Tamoxifen and finally had a full hysterectomy in August 2014 because my uterine lining was growing and already was lumpy, bumpy. It’s been a few years and I am finally ready to talk about WHY ME? I’ve been obsessed with learning about cancer while I struggled with the use of Tamoxifen and now Arimidex. I was lucky not to have to choose about radiation and especially chemotherapy because the more I read and studied the more I was convinced that treating the cancer should include prevention and fixing my own internal weakness that allowed cancer to take hold in the first place. Well I have been able to find many knowledgeable cancer prevention advocates in the organization “The Truth About Cancer” – today started their Live online conference (to watch https://go2.thetruthaboutcancer.com/2017-live-event/watch). With everything I’ve researched the basis of cancer comes down to your own body mutating due to its inability to handle its toxic load from the environment or the lack of resources (nutrients) within your body to handle this toxic load. So for me its about nutrition and my body’s ability to detoxify and that’s where my long-term prevention strategy begins. October being “Breast Cancer Awareness” month, I want to share with you my security blanket and my most favorite supplement Xeno Protect supplement by Xymogen. This formula was developed by a doctor who treats breast cancer patients but for use of all patients. It provides all the necessary nutrients to support your body’s ability to manage and eliminate excess estrogens and detox from your exposure to xenoestrogens and other toxins. This comprehensive formula designed to support the detoxification of environmental pollutants, endocrine disruptors, estrogen metabolites, xenoestrogens, and other toxins. This product and the company that makes it are fantastic. If you wish to access Xymogen Products please call me 772-708-3217 to join us. Jacqueline Crighton – learning to live better with quality nutrients. June 2015 Newsletter.pdf – File Shared from Box. Professional Brand Supplements: Some of our exclusive formulas are available only to licensed health care professionals and required client registration for access to pricing and first time ordering. Please complete the registration form in our store if you are a new patient. To schedule an individual consultation with one of our providers please contact our office at (772) 419-0505.